Esser and Mittelman argue that Manfred Steger’s work lays the groundwork for reimagining theoretical categories and methodologies to study the global knowledge structure. 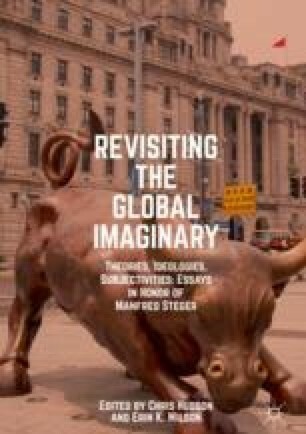 They introduce four recurrent themes in his writing: identifying the limitations of disciplinary social science, conceptualizing transdisciplinarity, developing globalization research and global studies, and translating ideational constructs into action in the form of ‘justice globalism.’ Esser and Mittelman then offer a comprehensive overview of subsequent chapters with a focus on synthesizing Steger’s main scholarly contributions. These centrally include his critique of dominant ontological formations, his embrace of plurality, and his openness to understanding globalization as practice. They conclude by stressing the need for global studies as an emerging transdisciplinary field to constructively engage with the mainstream’s resistance against epistemological innovation. Henderson, Steven. 2017. Competitive Sub-metropolitan Regionalism: Local Government Collaboration and Advocacy in Northern Melbourne, Australia. Urban Studies. Online First. https://doi.org/10.1177/0042098017726737.